Three polar bears decked out in red and white are stylish standouts in the winter snow. Dressed in their Coca-Cola scarves, these three friends are ready to enjoy all the fun the wintry weather offers! 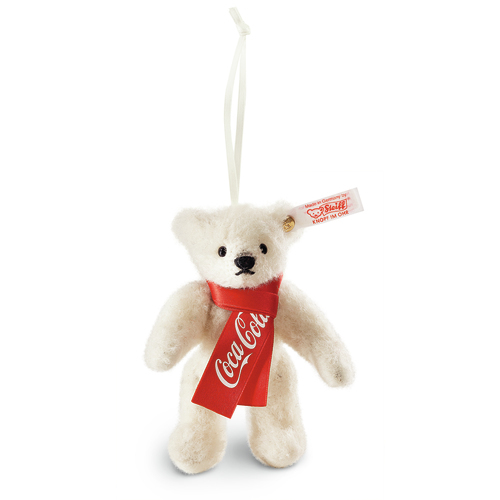 The smallest of the Coca-Cola polar bears is ready to make lots of new friends. With his red scarf and friendly demeanor, he is a welcome addition to any collection and a perfect gift for all lovers of Steiff animals and Coca-Cola alike. The 5-way jointed bear is made of finest wool plush and has a gold-plated "Button in Ear" featuring the elephant motif. 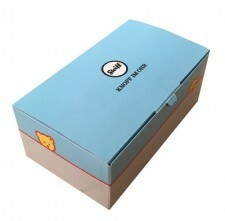 4 Inch (10 cm, item no.